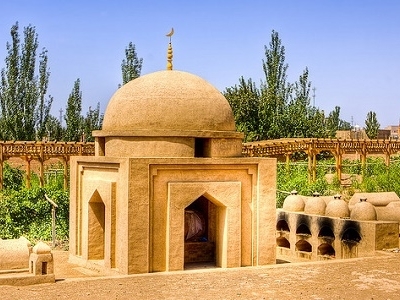 Turpan, also known as Turfan or Tulufan, is an oasis county-level city in Turpan Prefecture, in Xinjiang Uyghur Autonomous Region of the People's Republic of China. Its population was 254,900 at the end of 2003. 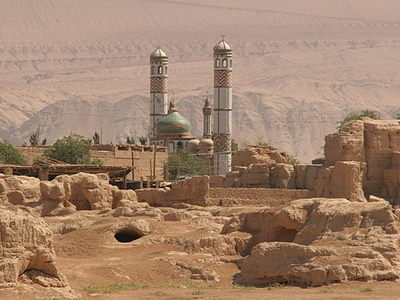 Turpan has long been the centre of a fertile oasis (with water provided by karez) and an important trade centre. It was historically located along the Silk Road's northern route, at which time it was adjacent to the kingdoms of Korla and Karashahr to the southwest and the town of Qarakhoja (Gaochang) to the southeast. Here's the our members favorite photos of "Cities in China". 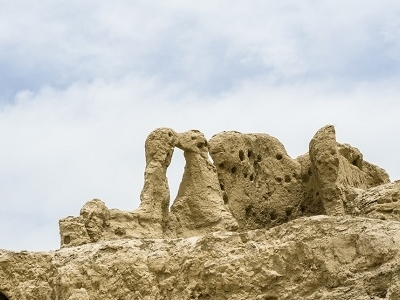 Upload your photo of Turpan!